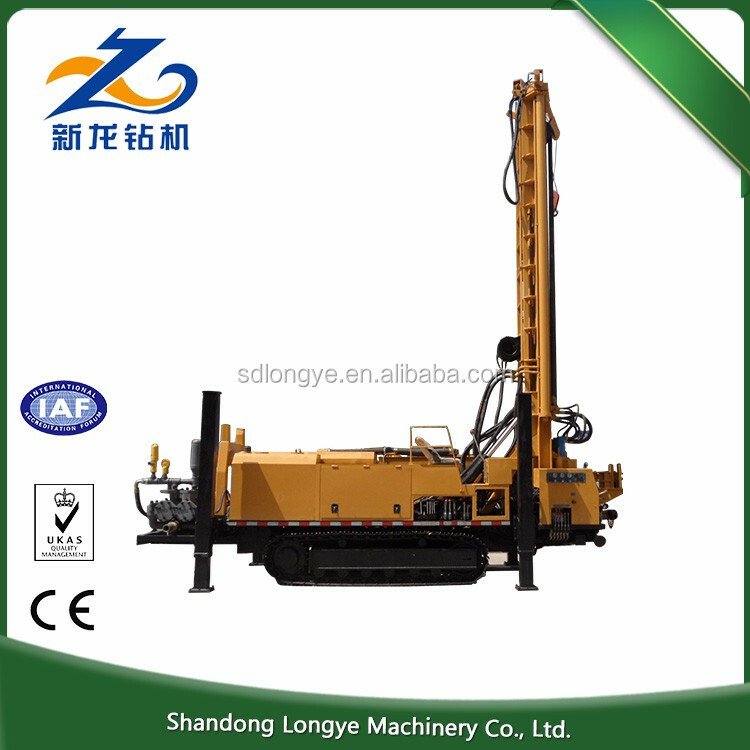 SL1100 track-type bore well drilling machine is lightweight, efficient, multi-purpose drilling equipment, which can use air, foam or mud rotary for percussive drilling according to different textures. 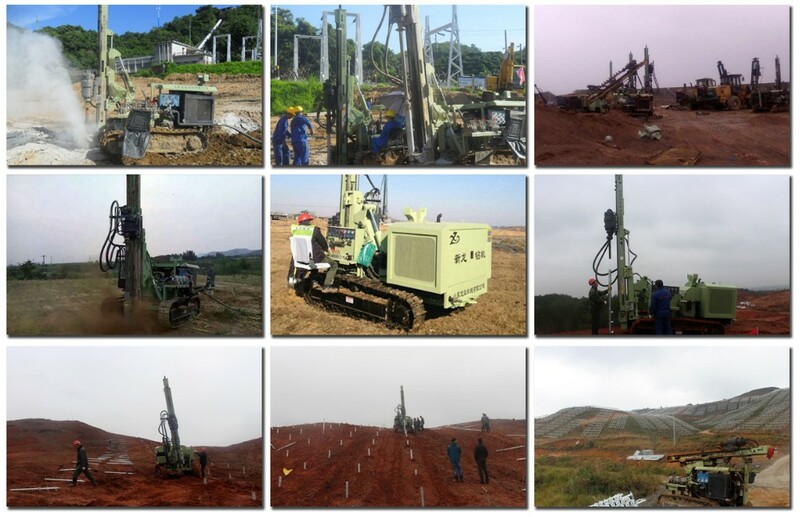 It is widely used in industrial and agricultural water conservancy projects, such as drilling wells, testing wells or other exploration boreholes, in particular,it is use for drilling hole for geothermal heating it can also meet the engineering basis for reinforcement, loose gravel drilling rock formation connected with a variety of engineering requirements. 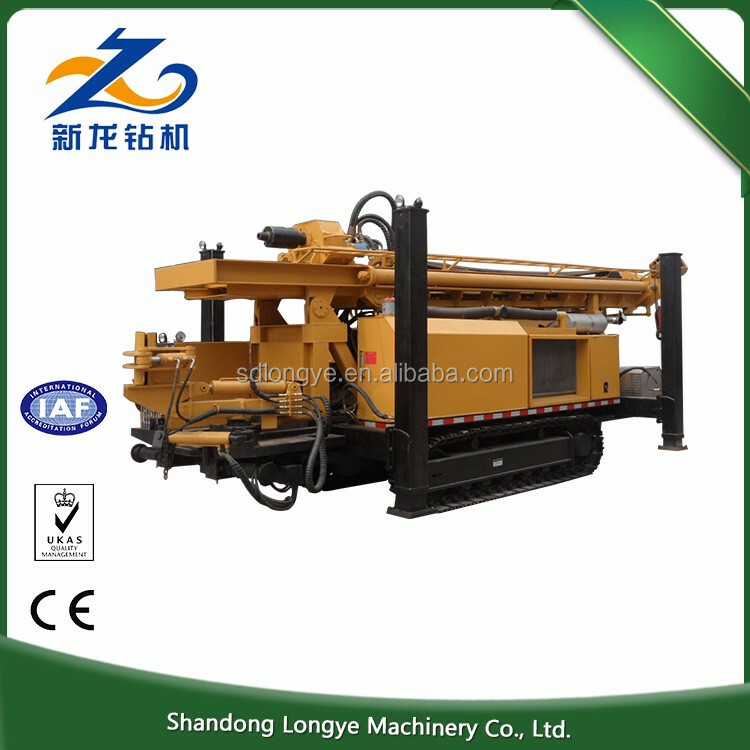 1.The host is equipped with a six cylinder engine power ,which can guarantee the output of strong power in the drilling ,according to the actual demand the hydraulic system gets optimization design and improvement. 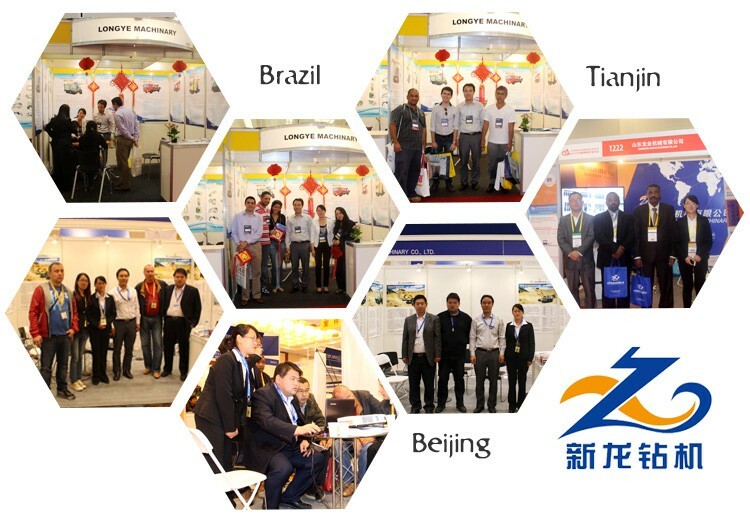 To ensure the reasonable power distribution effectively, meet the drilling conditions. 2. 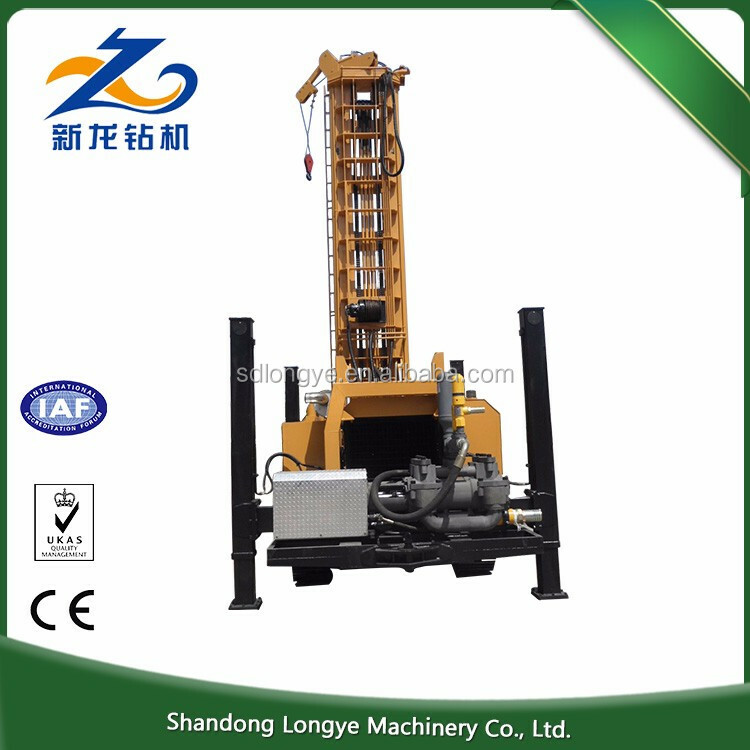 Rotary hydraulic motor driven rotary gear mechanism, can provide 6500-13000NM efficient, strong power output, to ensure the high efficiency drilling operations. 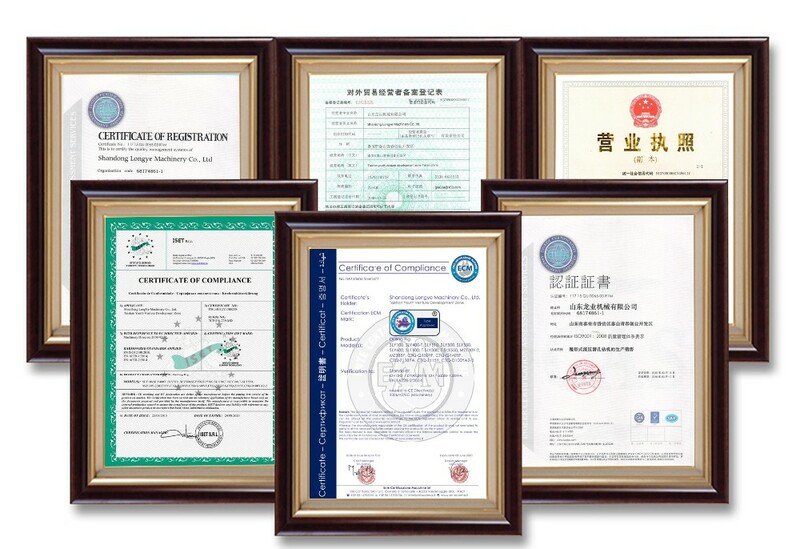 Slewing mechanism can choose high, low speed and high ,low torque output according to different conditions and strata condition, so as to adapt to different working environment. 3. 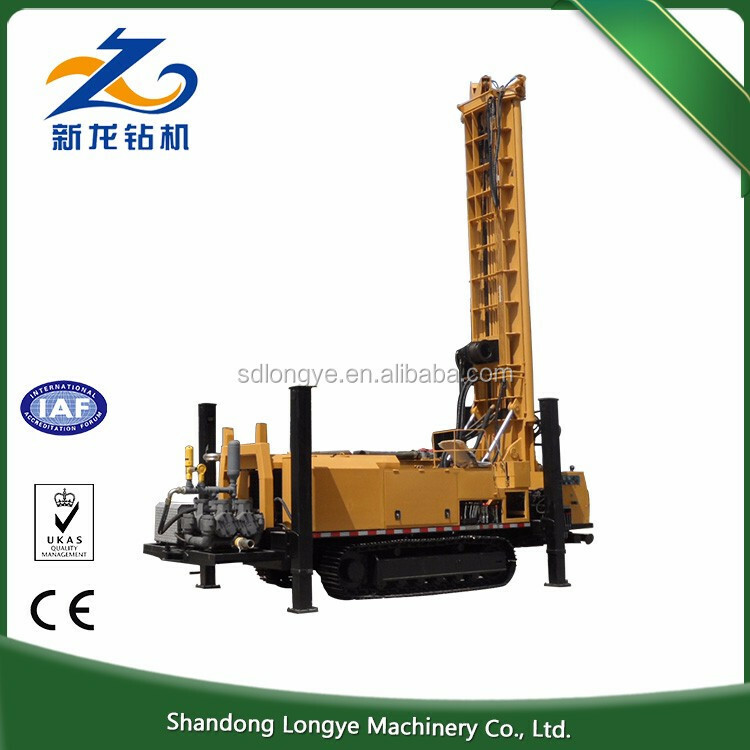 The rig is equipped with full hydraulic unloading rod device, so as to improve the work efficiency, and greatly reduces the labor intensity and the operation safety. 4. 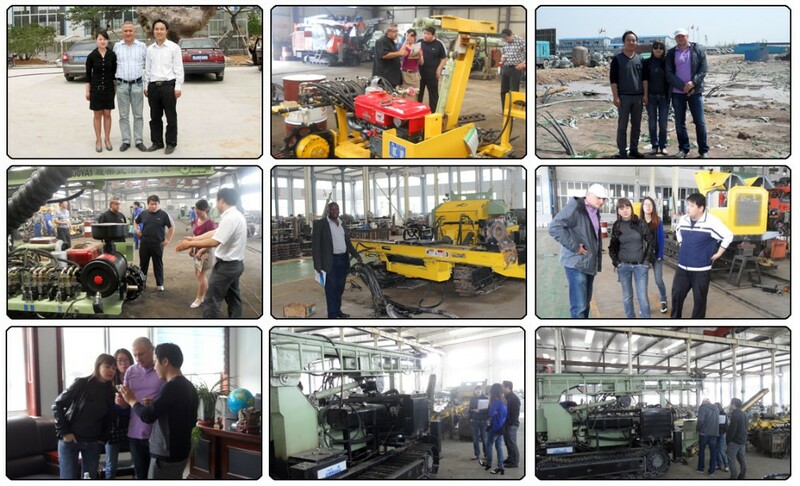 When work, rig can be fixed with the car body, and is equipped with four solid and reliable hydraulic leg, in front is equipped with two auxiliary hydraulic leg, greatly enhance the stability and verticality in the process of drilling . 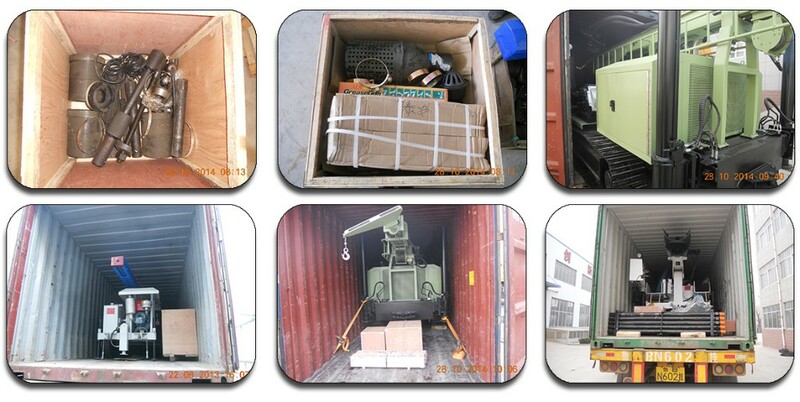 Four hydraulic supporting leg can meet in the transport process of loading requirements, solve the difficulty of the hoisting of field operation, greatly reduces the cost of transportation. 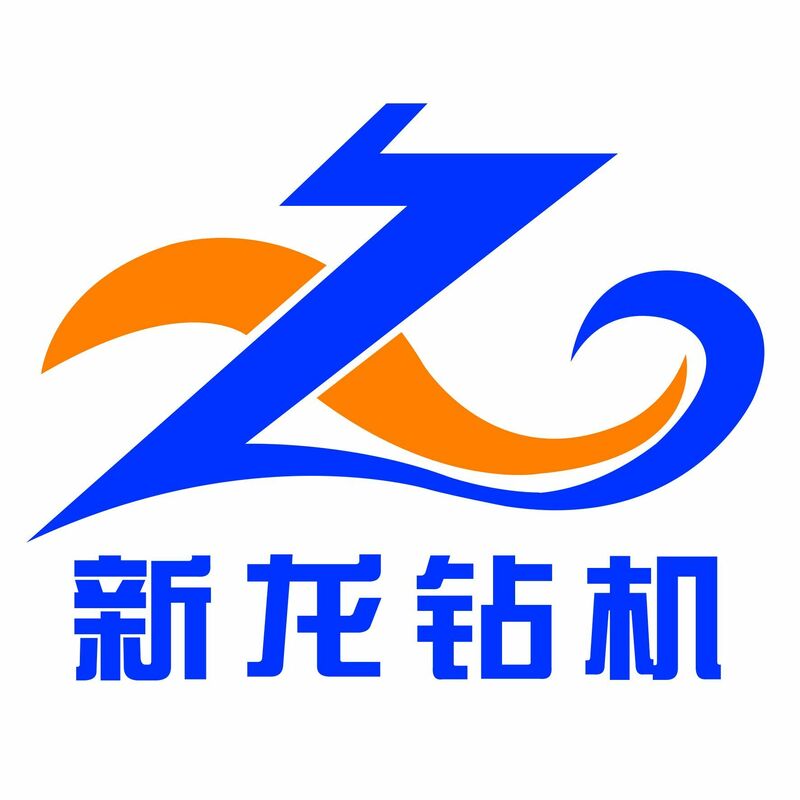 5. rectangular tower with high torsional strength, high stress area with special structure. 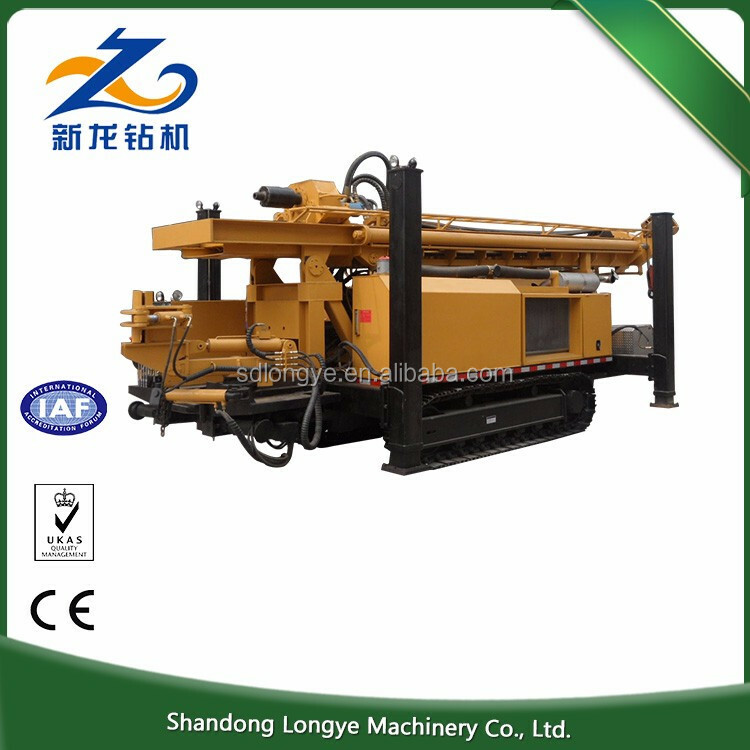 Double sided cutting lace rig welding, keep the flexural capacity of the derrick. 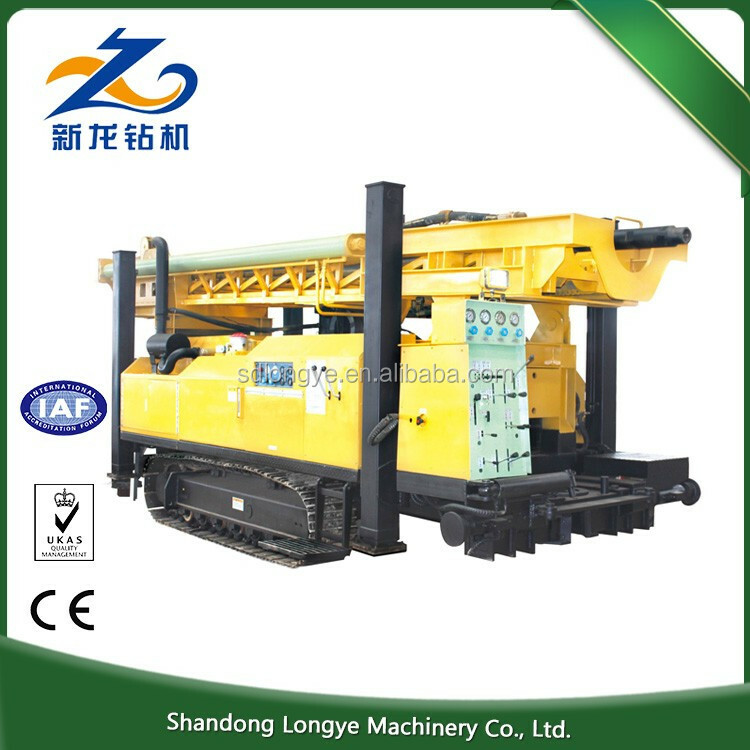 Overall structure with double cylinder pull type connection in the form, through the rotary structure optimization design with the rig reasonable combination , to ensure that the lifting force is the strongest of the output, thus in complex terrain appear sticking easily will drill pull out, to reduce unnecessary losses.